With traditional onboard audio the signal is distorted by electromagnetic signals from the rest of the PCB. 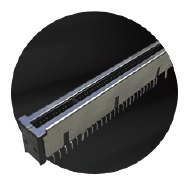 Acting like a dedicated sound card by physically isolating the audio circuitry which is separated by a isolating path. Less interference gives you a more clear audio signal. 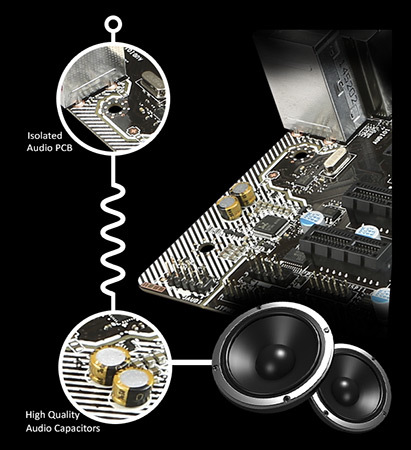 With the use of professional audio capacitors, specially designed for audio purposes, this motherboard delivers high fidelity crystal clear sound with exceptional acoustics and realism.